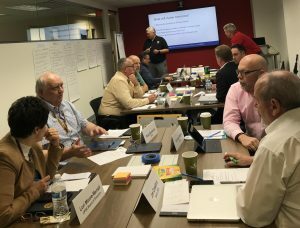 CPSE leadership invited representatives of key stakeholder groups to share their ideas on the future of the fire service, accreditation, and the CFAI 10th Edition Model. 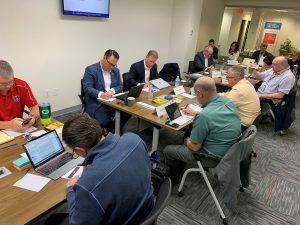 The gathering was hosted by CPSE at their headquarters in Chantilly, VA on Nov. 14, 2018. The stakeholders represented the interests and insights of their member organizations, and provided valuable input as the 10th Edition process begins (please visit www.cpse.org/cfai10 for more information). “Engaging our key stakeholders early in the process and allowing them ownership in the update will be crucial to the project’s success,” said Preet Bassi, CPSE CEO, who facilitated the meeting. “We received valuable input from all who participated and found a great deal of consensus.” CPSE plans to share the outputs from the meeting in a forthcoming report. Next steps in the 10th Edition update will be the call for volunteers to review the previous edition and make recommendations. 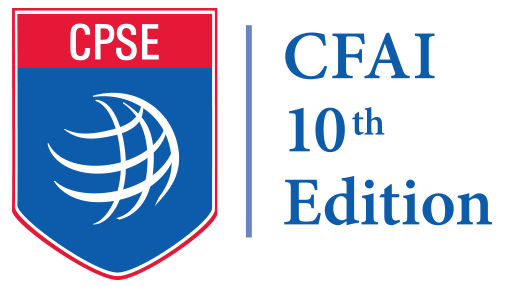 Stay up to date with the latest news and progress on this initiative by checking the CPSE website and watching for social media posts on Facebook and Twitter with the hashtag #CFAI10.